Directions: We will meet at the trail head and hike in as a group. $250 per person for groups of 2 or more. 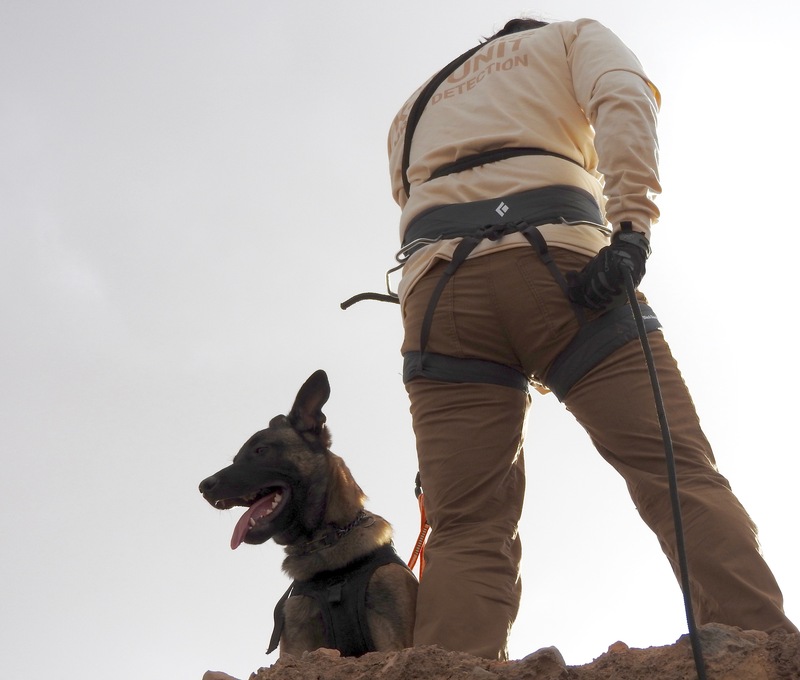 Course Description: Designed for handlers with little to no experience up to advanced. Class covers climbing skills including; knot tying, belaying, rappelling, rope anchor systems, equipment for dog and handler as well as safety procedures.